I am just not sure about this sweater. The side seams do not line up like I thought they would...apparently there are more rows on the front than on the back. I am tempted to take it out and make the front shorter, instead of the back longer, because I am almost out of yarn. 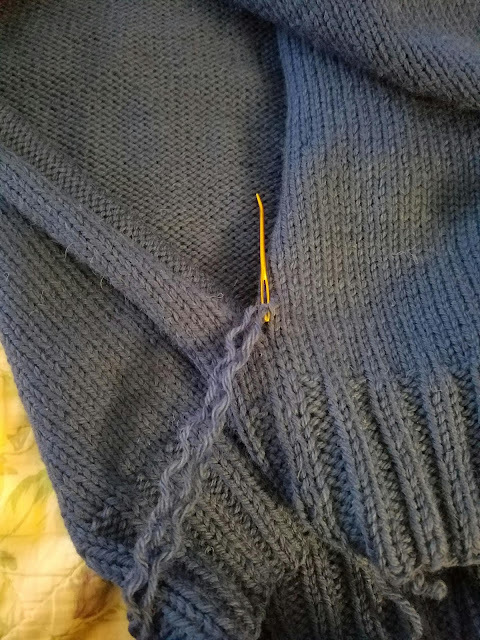 I mean, I have to undo the swatch in order to seam it with blue. I think for now, I will finish it, and then when he outgrows it, I will take it apart and reknit it, and he can wear it again. But it bothers me. 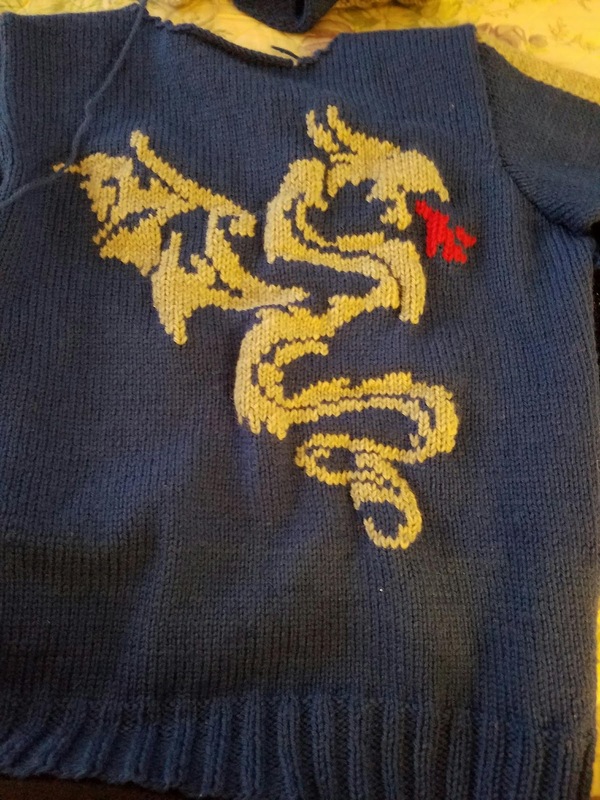 So I started his second sweater. 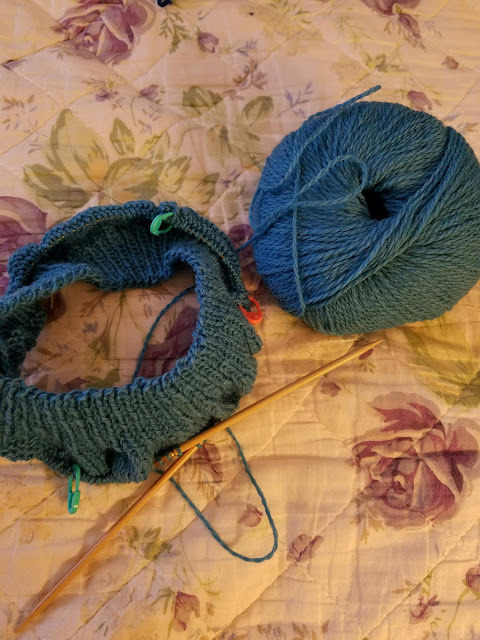 It is the Flax Light pattern from Tin Can Knits, and I am using KnitPicks Palette yarn in Whirlpool.